This website is MY BOOK on the Mayan calendar. In 2015 e-published my short non-fiction book, Stonehenge Of America: Blue Mounds State Park, a Kindle e-book of my true-life account of discovering at the eastern end of a quarter-mile long line of sacred rocks aligned east-to-west that marks where the sun rises & sets on the spring and fall equinoxes: a hidden ancient Native American natural rock amphitheater with a special sitting ledge upon which to view the sunrise on the first day of every spring and fall...Stonehenge of America. Yes, there is an ancient Stonehenge in America. The huge quartzite natural-rock amphitheater sits at the eastern-end of a 1/4-mile-long line of sacred rocks aligned east-to-west that marks where the sun rises & sets on the spring and fall equinoxes at Blue Mounds State Park in southwest Minnesota. George Noory, the host of the #1 rated late-night radio show in the world, COAST TO COAST AM, proclaimed "I love this story!" live on-air Nov. 19, 2009, as this amazing story is told to 4-6 million listeners. In October 1990 Bonita Anderson and the author had first visited Pipestone National Monument in Minnesota, where for eons the native people have harvested the pink rock from small shallow quarries for its use in making ceremonial peace-pipes. Next they drove 26 miles south to Blue Mounds State Park, where from atop the 100-foot cliffs of a quartzite-rock quarry one can gaze into the nearby states of Iowa and South Dakota. Blue Mounds is Sioux Native American sacred land and also home to a small bison herd where buffalo roam over an 1,830-acre area. This is the TRUE STORY of the supernatural adventure Bonita and the author experienced after returning to Blue Mounds the following year on the spring equinox. They both witnessed a spiraling energy beam rising from a huge boulder at the western end of the rock alignment, plus MUCH MORE, and were shocked to discover hidden in plain sight a natural-rock amphitheater with a sitting ledge upon which to view the sunrise between two huge boulders on the equinoxes...STONEHENGE OF AMERICA. 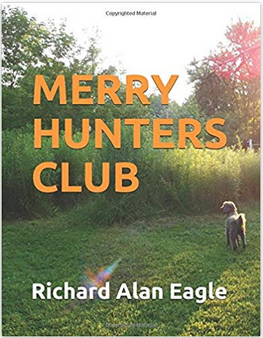 In 2015, published on Amazon a fiction drama and romance adventure originally written in screenplay format, includes the most important real-life events in Richard's life presented as storylines embedded within the tale. "All fiction begins with a Truth, and all Truths become fiction." He created handout-charts combined with a 12-month-Gregorian-calendar in 1989, for his first Mayan Calendar Guidebook edition, to help-teach his first-Mayan-calendar-workshop in Minneapolis, Minnesota. 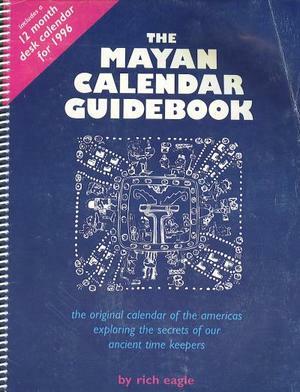 For the 1996-edition of The Mayan Calendar Guidebook 4,000+copies-sold around-the-world and had media-coverage by the TV-show Strange Universe on Canadian television. This book is out of print (found for sale only as a collectors item).